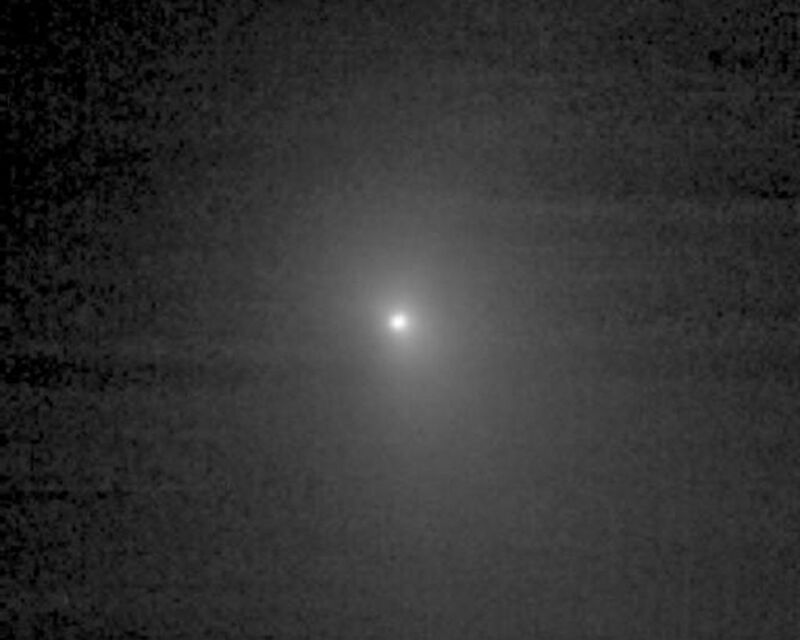 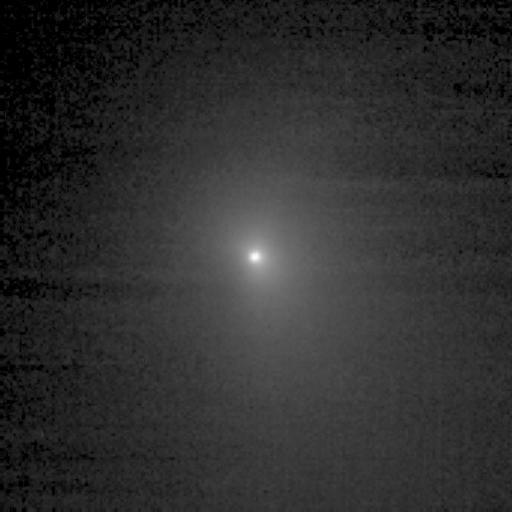 This image shows comet Tempel 1 as seen through the clear filter of the medium resolution imager camera on Deep Impact. 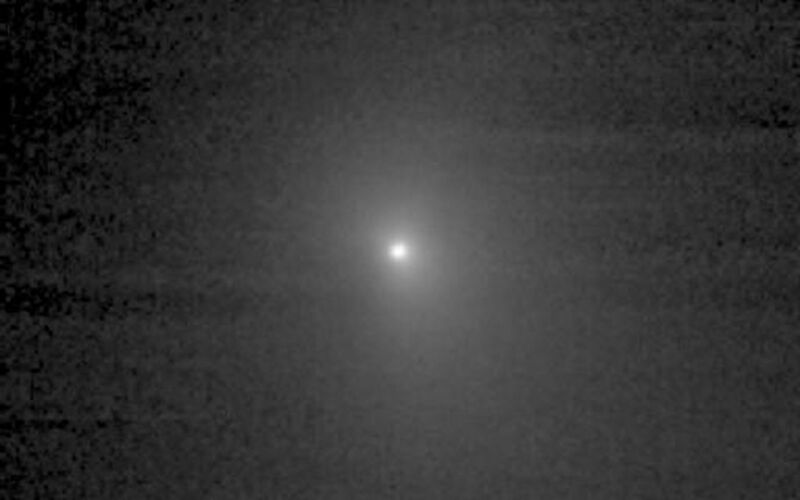 It was taken on June 27, 2005, when the spacecraft was 6,229,030.3 kilometers (3,870,719 miles) away from the comet. 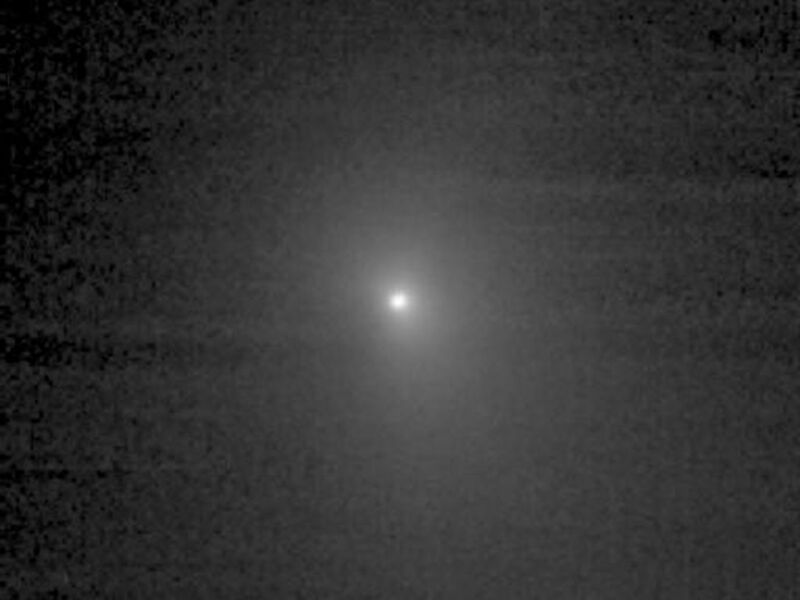 Three images were combined to create this picture, and a logarithmic stretch was applied to enhance the coma of the comet.